If classic gaming had a royal family, Outrun would be the king of the racers. The SEGA arcade cabinet was always one of the favourites of the arcade, even after others had come and gone, and with good reason. So can this SEGA Ages remake capture the magic? We’ve seen this before, of course. This is a port of the 3DS version of the game, complete with the same options and tweaks that make it the definitive version. There’s no shame in that, though. The port is made with a lot of love for the original game and the additions, though new, can be turned on and off at will. The game remains the same; drive as fast as you can against a time limit to a fork in the road, choose the right or left path then do the same until you reach the end. It sounds simple enough but with breakneck speed around twisting roads and traffic that thinks nothing of changing lanes at any point, it’s still a challenge. For those new to retro gaming, Outrun might initial prove to be a challenge, so it’s good to see that Sega have implemented a range of options to change the difficulty and the amount of traffic on the road. Now I was concerned that driving with no traffic would be a tiresome experience but it’s actually turned out to be a good way to really appreciate the pixel scenery and the amazing job that the graphics designers did with the technology of the time. For those who’ve played this game many times before, though, Sega haven’t forgotten about you and have provided some options on the opposite end of the scale for that extra challenge. Reaching the end of any one of Outrun’s courses will provide you with a different ending but it will also unlock extra features from different colour cars to better cornering. These can all be toggled at will. Finishing a race successfully will also enter you onto the online leaderboard. The Switch seems to be the perfect place for Outrun to find a new home. The pixelated art looks great on the big screen in a classic retro fashion and it’s also perfectly suited to the small, portable screen as well. It even has motion controls should you want to give them a try. 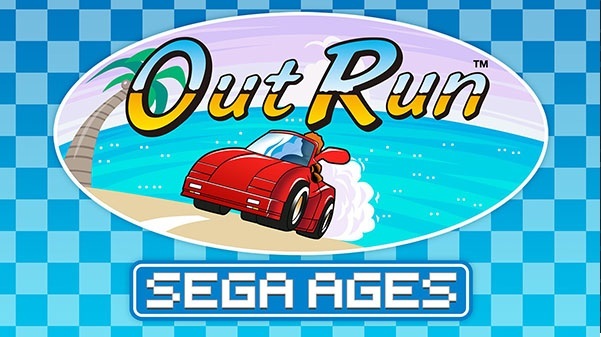 If you’ve any interest in gaming history or have already experienced one of the world’s most famous racing games, this Sega Ages port comes highly recommended.